This book is concerned with the sociological analysis of the professions and professional self-regulation. This is the view that professionals such as doctors should be left alone to manage their own affairs in regards to members training, practice and discipline. Over the last two decades social scientists from the United States, Europe, Canada, Australia and New Zealand have discussed how governments are increasingly acting to open up the previously 'closed shop' field of professional regulation. Indeed, many have been vocal advocates of the need to promote greater inter-professional co-operation and managerial and public involvement in the regulation of professional forms of expertise. The United Kingdom is no exception. A series of high profile medical malpractice cases have caused sociologists to join patient rights advocates, lawyers, politicians and the media in calling for reforms in the regulation of doctors. 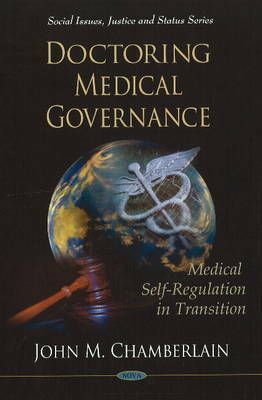 Grounded in contemporary health and social policy developments in the United Kingdom, including the 2008 Health and Social Care Act, this book undertakes an in-depth analysis of the development of the principle of professional self-regulation in relation to the evolution of the modern medical profession and contemporary calls for reform in the governance of doctors. In doing so it highlights how medical elites are advocating a new medical professionalism, sometimes called professionally-led medical regulation, as they seek to maintain the principle of medical self-regulation, albeit in a new more publicly accountable form. Against this background the results of original empirical research undertaken with doctors to identify their experiences and perceptions of these reforms is presented and analysed in light of current policy developments as well as relevant theoretical sociological frameworks.